Turn your cherished memories to fine art. Classic Moments, photos to canvas art, offers exceptional print quality and color management. 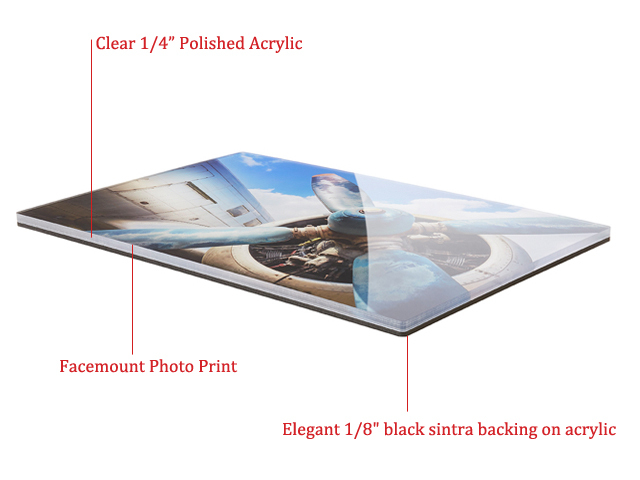 The state-of-the-art giclée printing process ensures each photo is rendered on canvas with meticulous attention to detail. This fine art printing method ensures a spectacular result. Select your own photos or choose from our Gallery Art collection of photography, fine art, and illustrations. 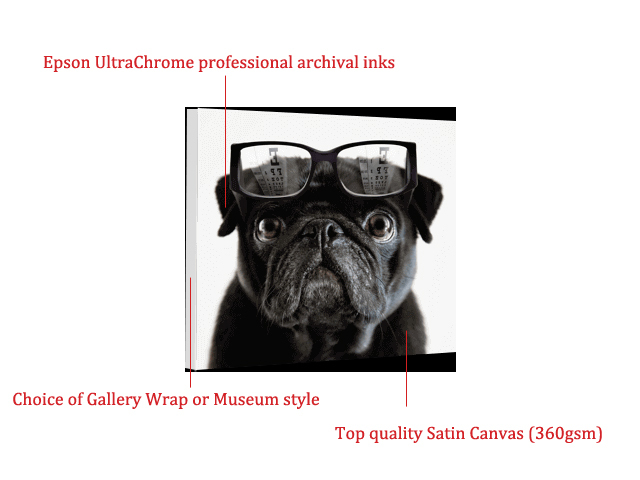 Style a modern gallery wrap for your canvas art, or for a more classic display, select a frame that highlights the beauty of your image and complements your individual style. When submitting smartphone images, use the highest resolution possible. When submitting digital camera images, use a high resolution with a minimum of 2 megapixels. Scanned images must be at least 72 PPI. 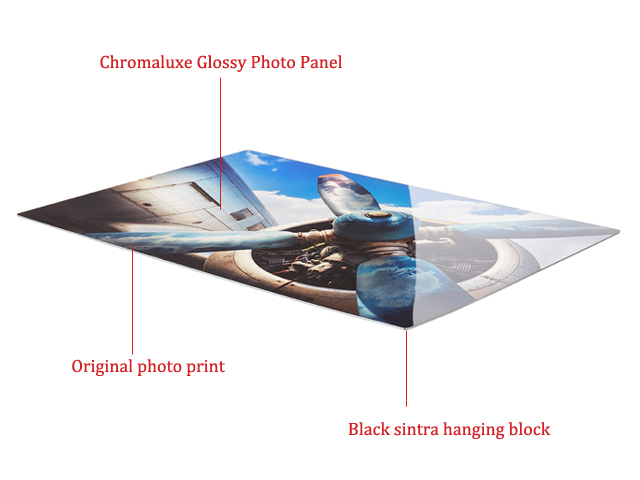 Prints on aluminum are stunning, modern, durable, and lightweight. The process produces rich colors and creates spectacular results. For a modern infinity look, order art on aluminum unframed or featured within floater frames. Or if ordering your art framed, select a design that compliments your art and your personal decor style. 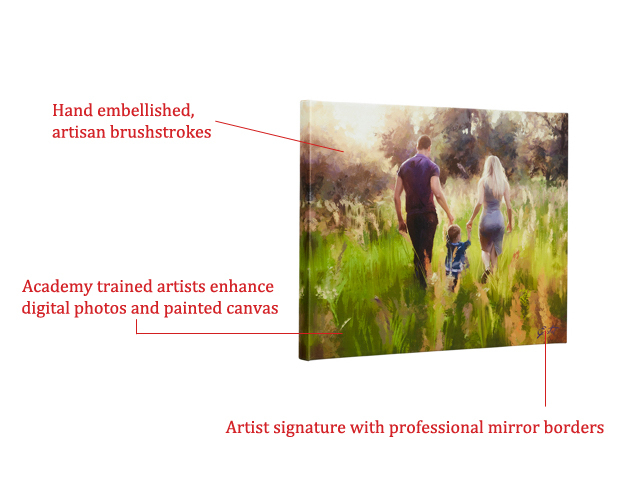 Transform your favorite photos into original works of art on canvas. Our academy-trained artists first digitally enhance your photos by hand with textural brushstrokes for a one-of-a-kind, painterly effect. Artists then further embellish the actual canvas portrait to really accentuate the brushstrokes — your painted moment comes to life! Photos Printed on Polished Acrylic. YOUR PHOTO AS A PAINTERLY WORK OF ART. Your moments, your life in art. Our academy trained artists will digitally remaster your digital photograph by hand, then further embellish your actual photo printed on premium canvas to highlight the artisan brushstrokes. Live with the moments you love as your very own original painted art! 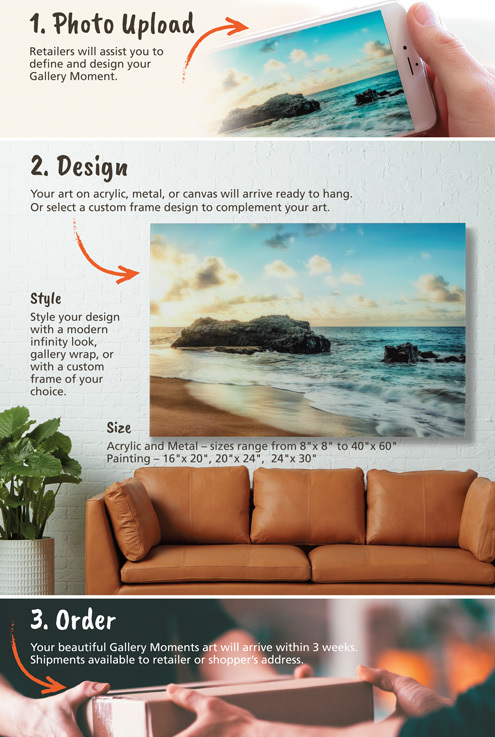 Style a modern gallery wrap for your canvas art, or for a more classic display, select a frame that highlights the beauty of your image and complements your individual style. Access collective of over 800,000 award winning and professional photography, illustration, and fine art images for print reproductions on Acrylic, Metal, Canvas. Subjects include: Abstract & Contemporary, Animals, Architecture & Cityscape, Botanical, Colors, Ethereal, Food & Drink, Landscapes, Music & Dance, Pop Art, Seaside, Transportation, Travel & Places, Vintage, and Sports.